"Independence Day, 1906. F.A. Loumis, copyright claimant. 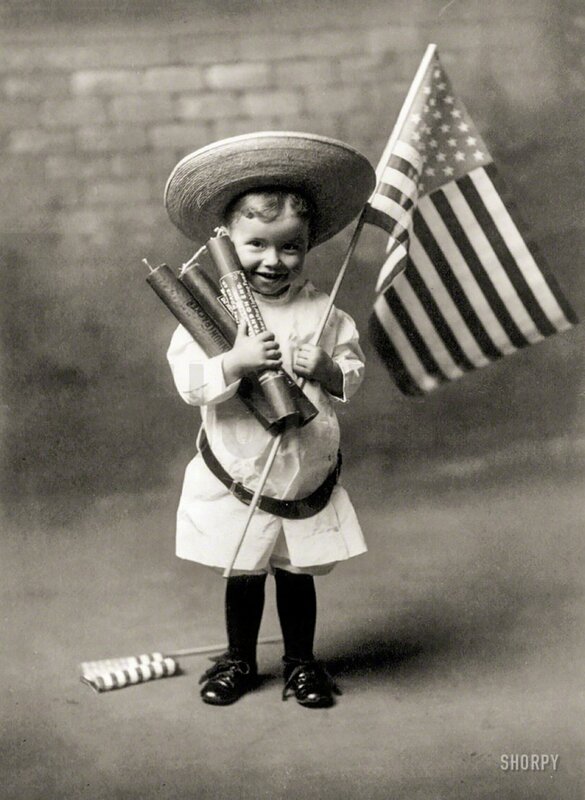 Little boy holding three large firecrackers and flag." 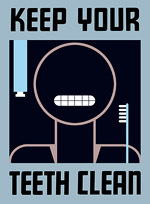 Let's be careful out there! View full size. February 1943. "Women in essential services. 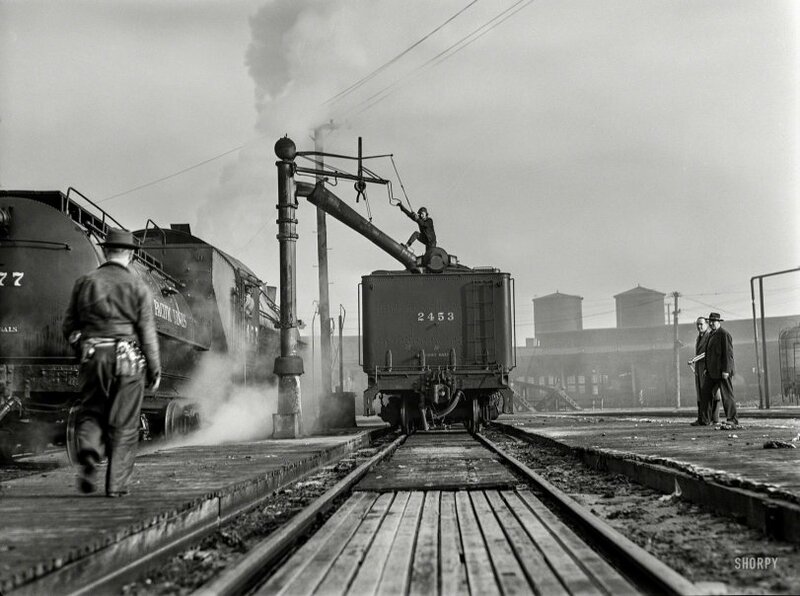 Women railroad workers take over the care and maintenance of freight and passenger trains in the Southern Pacific Company yards at San Francisco, California." Medium-format negative by Ann Rosener for the Office of War Information. View full size. October 1942. "Colorado School of Mines at Golden. Chemical prospecting for oil becomes more important as the war goes on and the demand for oil increases. Petroleum engineers call chemical prospecting the first scientific approach to the detection of oil in the earth. 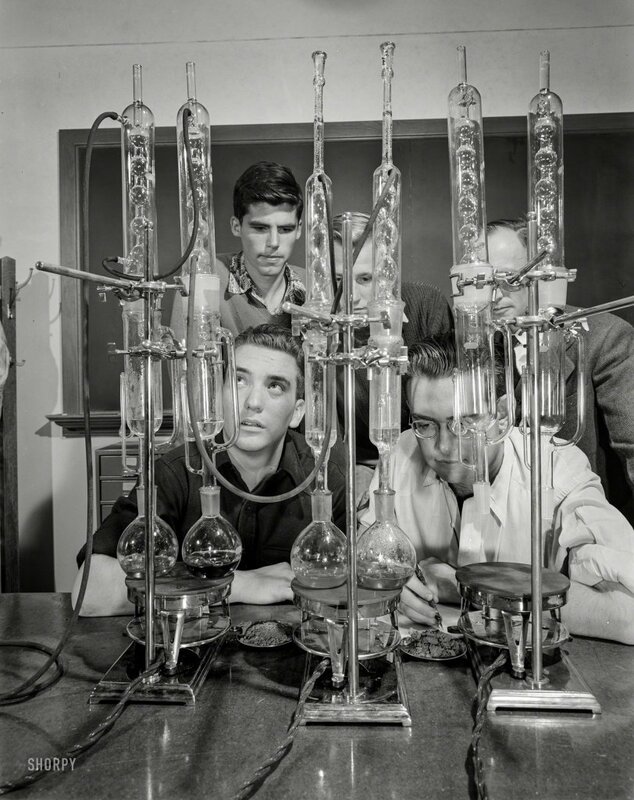 The big glass condensers, with which these engineering students are working with a professor of geophysics, are used in a soil analysis test. The percentage of wax left as residue at the end of the experiment indicates the nearness of petroleum to the site from which the soil sample was taken." Photo by Andreas Feininger, Office of War Information. View full size. 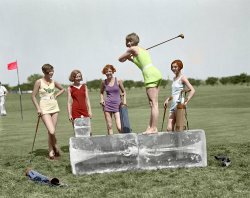 August 1940. 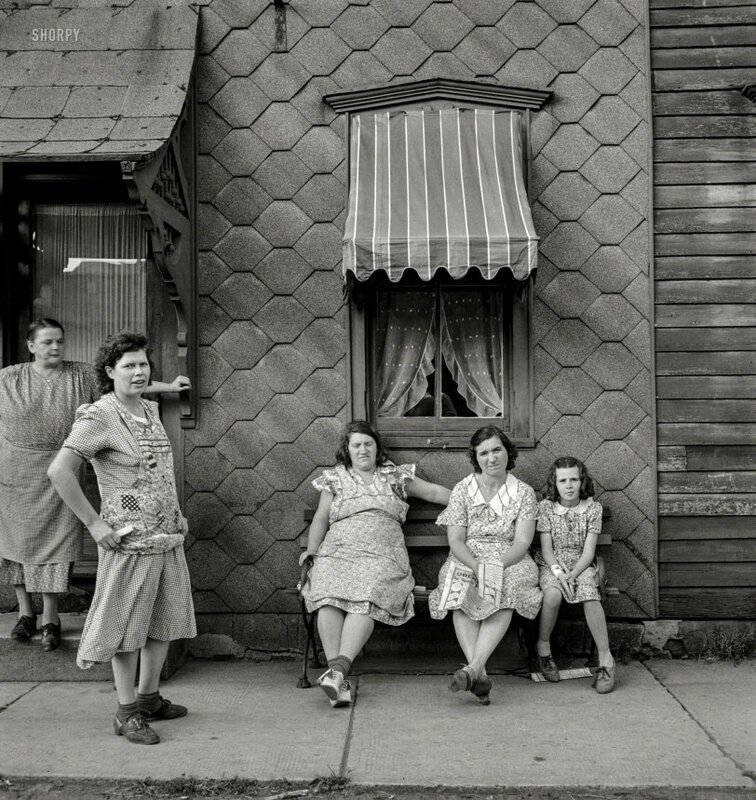 "Women in Upper Mauch Chunk, Pennsylvania." Medium-format negative by Jack Delano for the Resettlement Administration. View full size. 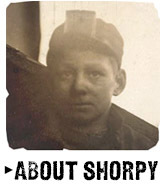 Mauch Chunk, a town whose name was "derived from the term Mawsch Unk (Bear Place) in the language of the native Munsee-Lenape Delaware peoples," was renamed Jim Thorpe in honor of the Olympic athlete after his death in 1953. Other aliases include "Switzerland of America" and "Gateway to the Poconos." January 20, 1919. 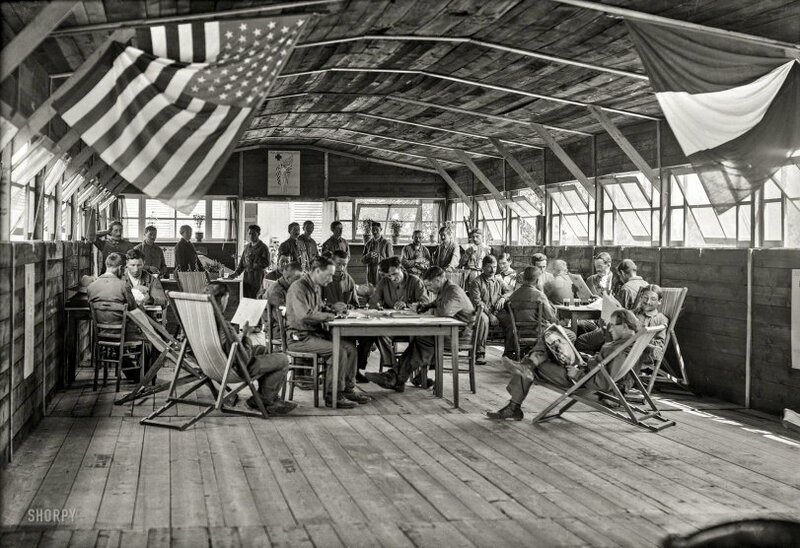 "Recreation barracks at the American Red Cross Agricultural Training School for French Mutiles, Le Liege (Indre et Loire)." 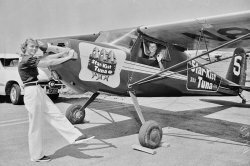 5x7 glass negative by Miss Harper for the American National Red Cross. View full size. September 11, 1900. "New York Life building, Chicago." 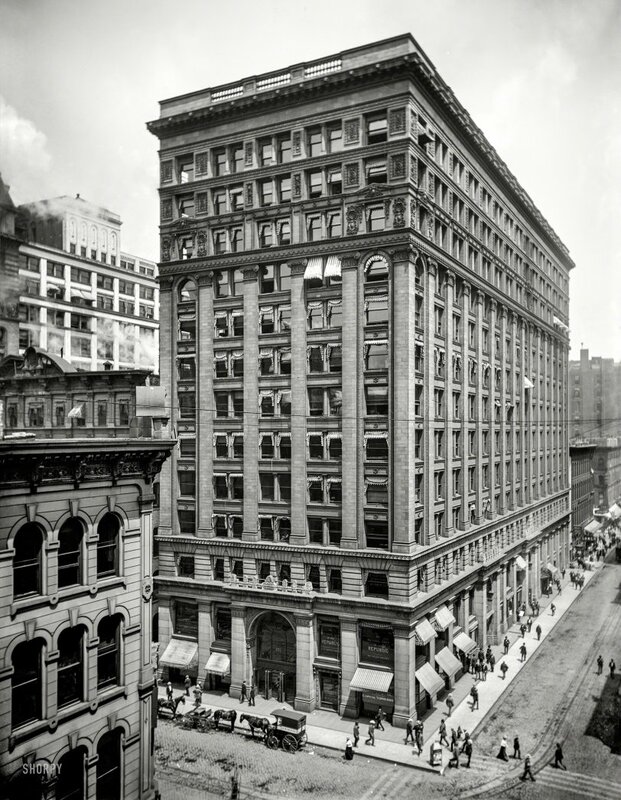 The building, at LaSalle and Monroe streets, was completed in 1894, with major additions in 1898 and 1903. 8x10 inch glass negative, Detroit Publishing Company. View full size. 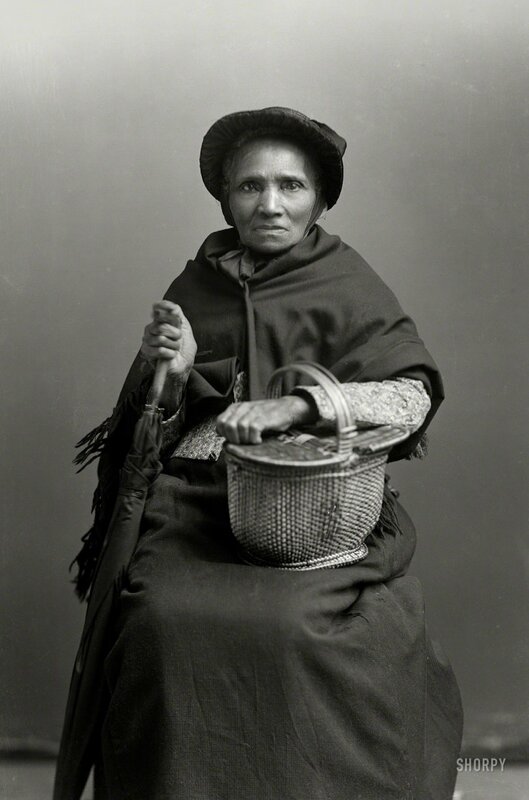 "Frank Hume's Mammy (between February 1894 and February 1901)." 5x7 glass negative from the C.M. Bell portrait studio in Washington, D.C. View full size. August 1942. Vernon County, Wisconsin. "The E.J. Saugstad family at Arrowdale, their 160-acre farm near Westby. 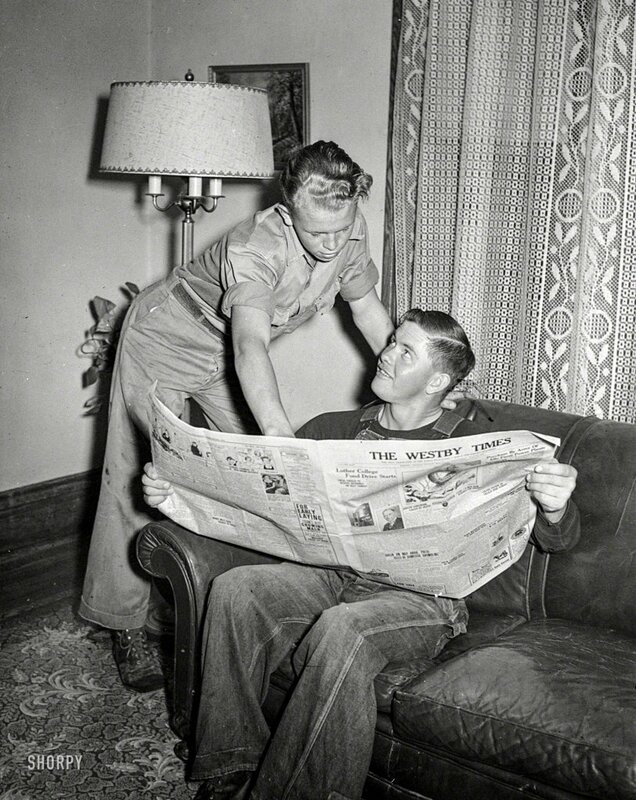 Robert, aged sixteen, with hired man Alton Lee." Photo by Arthur Rothstein for the Office of War Information. View full size.